The following originally appeared on 11/20/08 at Exit 51. 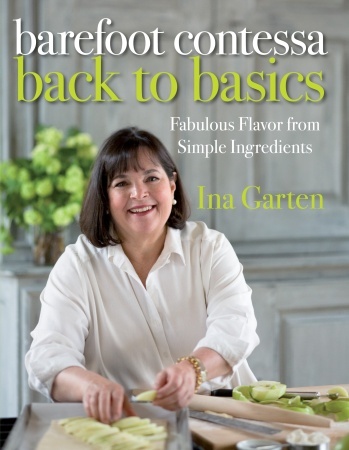 Less than 24 hours after my awesome acquisition of the new Barefoot Contessa cookbook, the good folks at the Washington Post had it in my hands. You guys rock! I haven’t looked inside beyond the autographed title page yet. I am afraid that once I start turning pages, I won’t be able to stop until I get to the end. So for the time being, I’ll have to satisfy myself with Ina’s new Mustard Roasted Fish recipe posted in yesterday’s Food Section of The Post and today’s feature on her in the Post’s Home Section. Confidential to SFC: I did this during lunch, I swear! Nancy, Ina has a lot of great recipes in her books. I never thought to look for them at costco. I have almost all her cookbooks . . . still need to get my hands on this particular one though. I love the recipe for broiled bay scallops she has in it. It’s so indulgent (lots butter–then again, no surprise there =). Jenna, butte + scallops = delicious.